As Fondians we are a tribe of passionate professionals with a slightly rebellious spirit. Since 2004, we have been breaking new ground between in-house legal teams and traditional law firms. Today, we are the first publicly listed company in our field in the Nordics, strengthening our foothold in Northern Europe. In 2018, our group revenue was 20,2 million euros and we continue to grow. Currently, we employ over 160 people across Finland, Sweden and the Baltics. Besides looking into new business opportunities offered by technological development and legal design we actively look for new markets. Our success formula is all about people and we have been recognized as a great place to work both in Finland and in Europe. 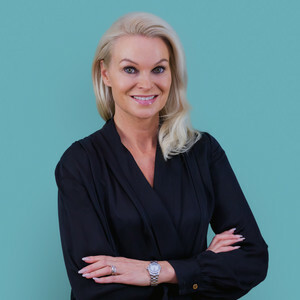 As Managing Director in Sweden, the focus of your work will revolve around further establishing the Fondia brand and growth on the Swedish market as well as implementing business strategies and developing the scalable business model further. By making sure that Fondians always come first you enhance the customer experience. You will also be contributing to the group management team and helping Fondia develop in all areas. For you to be able to excel and grow in the role you have strong leadership experience within professional services, as a Managing Director or in similar management roles. Besides strategic thinking and business-mindedness you have a can-do pragmatic attitude and you enjoy hands-on work. You are very much a people person and you have a genuine interest in leading a truly modern organization of top professionals in a shared leadership manner. You will enjoy working as a Fondian if you are solution-oriented and a true team player, who is keen to constantly aim for smarter solutions. Our working environment requires excellent skills in English. In this role fluent Swedish is also a very important part. If you have any questions, feel free to write to the email above. The deadline for the applications is April 7th, 2019.